Whether you are running a dedicated pulling truck or just a weekend warrior, this is the only adjustable pulling hitch you want to use! The 2.5 inch Big Hitch Products adjustable pulling hitch will give your truck the competitive edge against your competition. 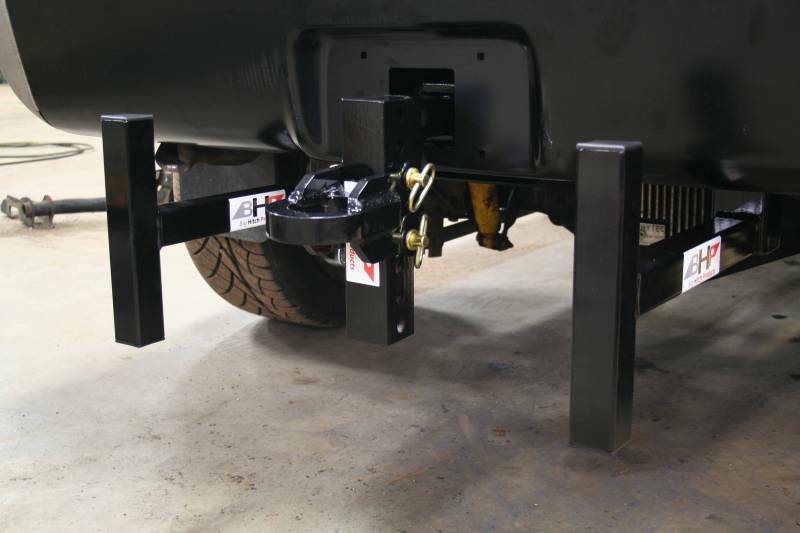 •The adjustable pin in place ring can be flipped over to provide different levels of height adjustment. 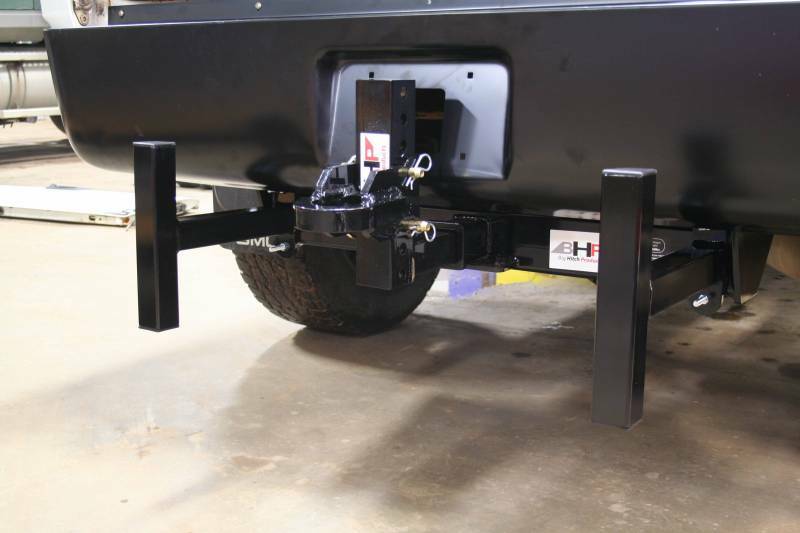 Offering over 8" of rise or drop from the center of the receiver tube and 12 different height positions to make sure the hook point on the truck is as high as the rules will allow. •The shank that slides in to the receiver tube is made from 2.5" cold rolled solid steel bar and the upright is made out of 2 1/2" hot rolled steel bar with precision drilled holes to allow the pins to slide in and out easily without a lot of slop that can cause hopping issues or weird noises while going down the track. 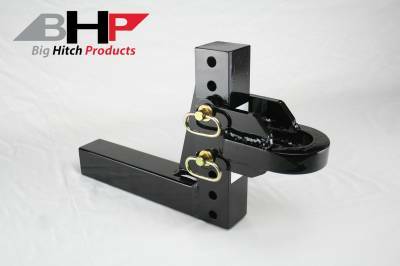 •The hitch ring is cut from 1 1/4" solid steel plate to regulation size with a 3.75" x 3" oblong hole to fit all sled pulling sleds hooks. •Receiver pin hole does not come drilled. That way you can adjust it to your specific truck's application. •Made to fit nicely with our BHP line up of receivers! Does NOT include receiver pin.